Powerful institutions in Washington are taking a renewed look at the way proxy advisory firms conduct business. A bipartisan group of senators introduced a bill Nov. 14 that would “hold proxy advisory firms accountable” by requiring the Securities and Exchange Commission to regulate major proxy advisory firms under the Investment Advisers Act. 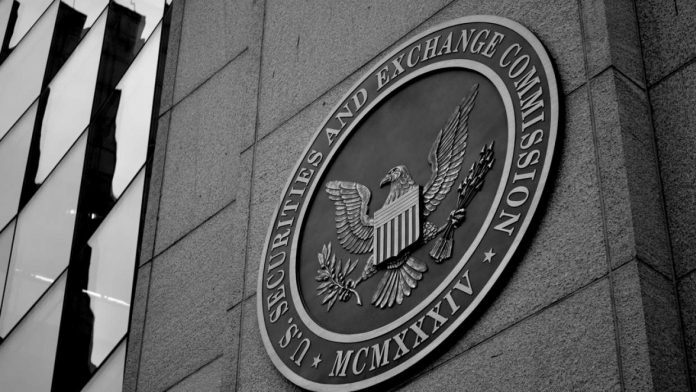 The following day, the SEC hosted a roundtable discussion seeking industry input on improving the proxy voting system, including an examination of how proxy advisory firms should be regulated. There have been calls to make proxy advisory firms more transparent about the way they formulate reports and further disclose conflicts of interests. Executives at the two proxy advisory firms that control approximately 97% of the market — Institutional Shareholder Services Inc. and Glass Lewis & Co. — said at the SEC roundtable that they’re working diligently to diminish and disclose any conflicts. Katherine Rabin, San Francisco-based CEO of Glass Lewis, which is owned by the Ontario Teachers’ Pension Plan and the Alberta Investment Management Corp., said her firm always discloses conflicts on the front page of a given report. At ISS, Gary Retelny, New York-based president and CEO, said his firm has “a strict firewall in place” between its consulting and research businesses. “If a company buys a product it won’t help with a recommendation,” he said, adding ISS already is a registered investment adviser. ISS and Glass Lewis executives took issue with the robo-voting notion. 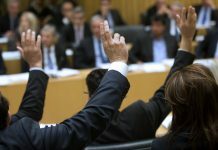 Nearly all of the time, proxy votes are simple and don’t require much scrutiny, said Jonathan Bailey, managing director and head of ESG investing at Neuberger Berman, LLC, New York, at the roundtable. “It is efficient and cost-saving for our clients to be able to use the workflow management capabilities that the proxy advisory firms offer us to be able make those decisions,” he said. Patti Brammer, corporate governance officer of the $101.4 billion Ohio Public Employees’ Retirement System, Columbus, said her fund votes in roughly 10,000 shareholder meetings each year and simply doesn’t have the time and resources to form an opinion on each vote. 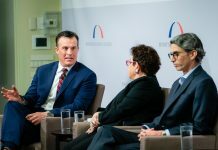 Proxy advisory firms allow “us to fulfill our fiduciary duty and it would be virtually impossible to do that without that aspect being available,” she said at the roundtable. OPERS has its own guidelines and policies that ultimately guide its votes, Ms. Brammer added. Timothy M. Doyle, vice president of policy and general counsel for the ACCF, said the SEC should require proxy advisory firms to be more transparent with how they formulate their recommendations and put in place a uniform process for conflict disclosures. “If that is done in a more transparent way we would be much more satisfied with the existence of the proxy advisory firms and their corresponding benefit to the shareholders,” he said. The best solution, Mr. Doyle added, would be one from Congress. 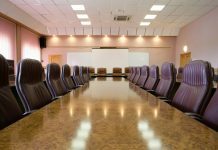 Although it’s highly unlikely to become law this congressional session, which ends next month, three Republican and three Democratic senators introduced the Corporate Governance Fairness Act earlier this month. Under the proposed Senate bill, smaller proxy advisory firms would not be required to register under the Investment Adviser Act so as to not discourage new entrants into the market. Ms. Rabin said Glass Lewis already applies high standards to is business. It has globally adopted the principles developed by the independent Best Practice Principles Group, based on recommendations from the European Securities and Markets Authority, she added. Any additional regulations should bear in mind potential changes to the timelines and independence of the proxy advisory firms’ research and data aggregation work, Neuberger Berman’s Mr. Bailey said. “If either of those were threatened that would not help the quality of the decision-making, which is ultimately why we used this advice in the first place,” he added. Chris Burnham, president of the Institute for Pension Fund Integrity in Washington, said the SEC should take the lead on any further regulation. “They’re going to have the vast expertise to make the most informed opinion and bring together key constituent groups and stakeholders,” he said. In an earlier panel discussion about proxy voting infrastructure, Ken Bertsch, executive director of the Council of Institutional Investors, endorsed looking into using blockchain technology in proxy voting as a way to streamline the process. The technology would ensure vote confirmation, enhance privacy and security, and reduce mailing costs, he said.